"As the Thanksgiving holiday approaches, many of you will have the opportunity to visit with family and loved ones, making Thanksgiving weekend the perfect time to let your parents, family and loved ones know about the Commencement ceremonies planned for Saturday, May 20 and Sunday, May 21 of 2017," wrote Echeverria. 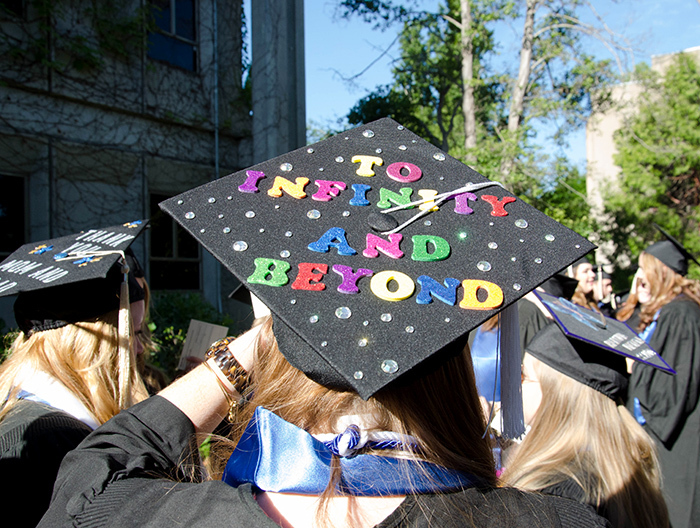 Six individual School Commencement ceremonies will be held this year for both undergraduate and graduate students. Students will be graduating with other students in their academic Departments and Schools. Historically, Sonoma State's Commencement ceremonies have taken place outdoors with temporary bleacher-style seating at Commencement Lawn. There has been one ceremony in the morning and one in the afternoon. More than 2,000 students total participated in both ceremonies last year, and the university saw about 10,000 visitors throughout the day. This will be Judy K. Sakaki's first commencement ceremony as President of Sonoma State University. All cultural commencement celebrations, such as the Latino Commencement Celebration, African-American Commencement Celebration, Asian-American Commencement Celebration, and the LGBTQ Commencement Celebration, will be held on Friday evening, May 19. Students and families may choose to attend these celebrations as well as their School Commencement.